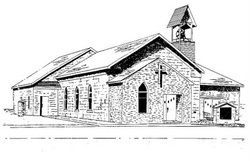 Welcome to the First Congregational Church, Mantorville, Minnesota! We're glad you've found us. We are a group of people who have discovered meaning, purpose, and new life through faith in Jesus Christ. We invite you to look through our site to find out more about who we are and how we follow Jesus. We also invite you to join us for worship at 10 AM Sunday morning, or to call or email us to find out about our other activities. We seek to be faithful to Jesus by loving God, loving others, and growing as followers of Jesus. To do this, we honor God in worship, share God with our community, and connect with God and each other through His Spirit and His Word. find us at 515 Walnut Street, Mantorville, MN.